As a design graduate, I have always had an interest and are drawn to, ‘creative types’ – I love to be inspired by these people – and admire their drive and the excitement of reading their stories. Sian: James & I are both art school graduates. We met in 1981, shortly after I had graduated from the Royal College and James from St Martins . We set up studios in Charlotte road, Shoreditch. Myself creating textiles and publishing children’s books. James was designing graphics, exhibitions, shops. In 1985 with some money we’d saved from our work, and the help of a bank manager who backed his hunch (there used to be such things) we bought an old furniture warehouse on Old Street. Made studios, rented to friends, lived on top floor, ice on the inside of the windows in winter. Romantic. (really it was). With hard work and luck we had the life we had dreamed about when we started art school. James likes making things and likes buildings, he became a property developer, creating lots of studios, apartments, live work spaces mainly for the pioneering creative of early Shoreditch. The late eighties and early nineties was a great time in the ditch. A village of creatives (who did stuff with their hands) lots of friends, lots of energy, lots of creative mischief. But things always change. The area changed. Where once it had been about appropriation of raw space. Raw space became trophy loft. The city boys had moved in, looking to rub the shoulders of bohemia in a vain aspiration for cool. We’d changed too, we were a family. 4 young boys. Time for a change. Went to New Zealand looking. Great country, great people, great welcome. That trip made us realise that the thing we were looking for we already had. It was the place that the boys had spent every summer in, the village where my parents lived, a place we knew really well, west Wales. What the kiwis taught us (thank you mossy, whitebait and all the others) was how to make the most of what you have, to prize what’s in your own backyard, and to give people a great welcome. 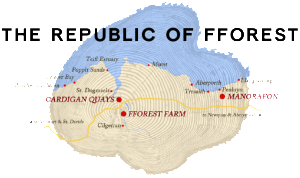 We knew fforest farm was for sale, in the week we arrived back from New Zealand we agreed the purchase. We’d had a great time in London, now to start the process of creating our new dream. That dream would be about celebrating how good ‘simple’ could look feel and taste. The dream was to combine the life-enhancing feeling of living outdoors with the simplest of things all wrapped up in a magical setting, underpinned by all the design and creative skills that James & I had learned over the years. Creating calm for people to come together and share food, share conversation, share silence on the far edge of west Wales. Tell us Sian, one of the things that is key to a stay at fforest? 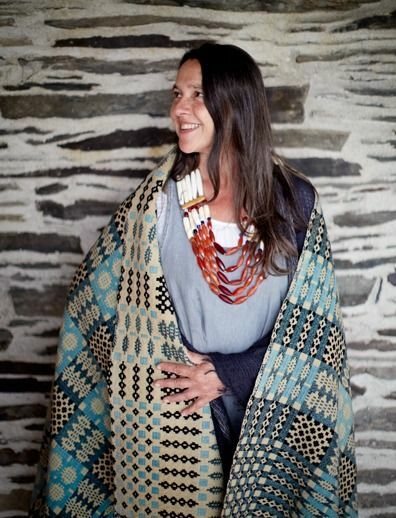 They are a thing of warmth, craft and beauty, functional and cosy with a sense of place and Welsh heritage. 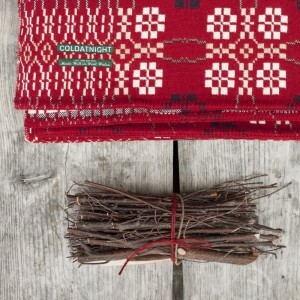 We have our coldatnight blanket woven specially for us at a very old water mill near the banks of the River Teifi. The same water that flows through the Teifi, around our camp at fforest farm and past our Granary lofts and Pizzatipi on Teifi wharf in cardigan is the very same water that turns the wheel that powers the loom that weaves our blankets. 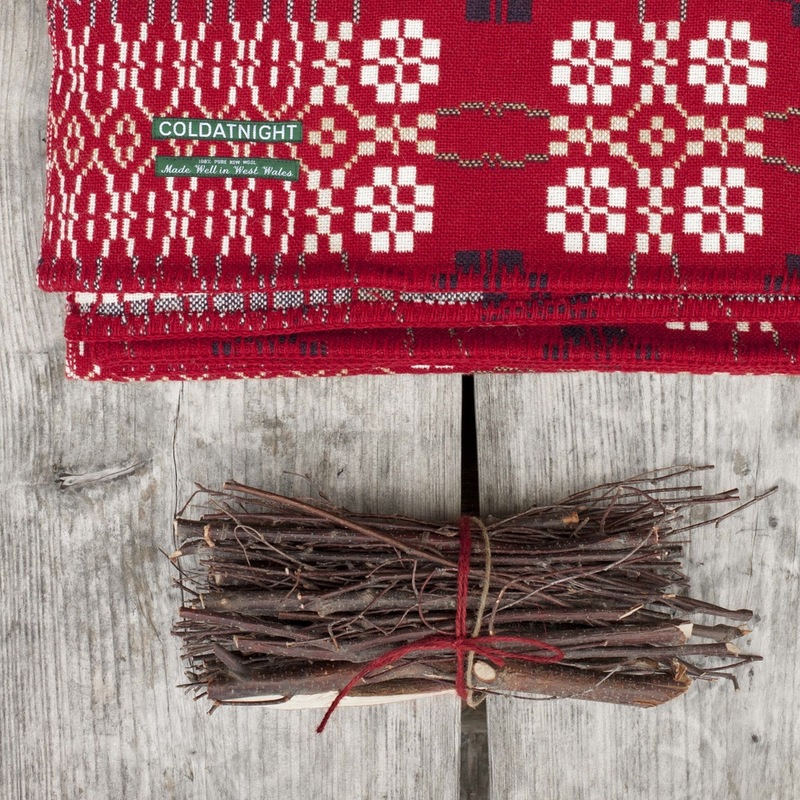 The Mill has been weaving for 180 years, it takes a while to get good at something. The Artisan wool makers of Wales enjoy a reputation through out the world, more quality than required. 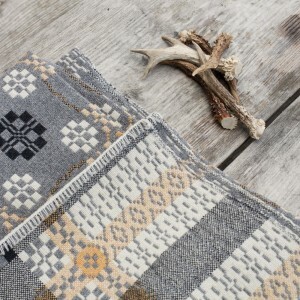 Our blanket is a traditional Welsh double cloth weave unique to fforest. A well thought out design consisting of peony motifs within circular waves. We have made a few tweaks and given some new colours to a very old design, giving new life to an old way. Using pure new wool on a 1930’s Dobbcross loom, each thread is put through the heddles by hand, as it always was. We have kept the traditional chain border down the sides and blanket stitched along the ends. A fforest classic to keep and to treasure. What have you got coming up for 2016 Sian?